'Pakistan's Inter-Services Intelligence agency (ISI) has been protecting al-Zawahiri, a trained surgeon since US forces evicted Al-Qaeda from Afghanistan in late 2001,' Newsweek said in a major investigative story claiming that its information is based on several authoritative sources. 'His most likely location today, they say: Karachi, the teeming port city of 26 million people on the Arabian Sea,' the weekly said. This is for the first time in several years a news report has surfaced about the hiding location of the Al-Qaeda chief, who is Osama bin Laden's mentor and successor. 'Like everything about his location, there's no positive proof,' Bruce Riedel, a 30-year CIA veteran who was the top adviser on South Asia and the Middle East for the past four US presidents, told the magazine. 'There are pretty good indications, including some of the material found in Abbottabad (Pakistan),' where bin Laden was slain, 'that point in that direction,' he added. 'This would be a logical place to hide out, where he would feel pretty comfortable that the Americans can't come and get him,' he said. Riedel told the weekly that Karachi would be a 'very hard' place for the US to conduct the kind of commando raid that got bin Laden on May 2, 2011. 'If he was in someplace along the border with Afghanistan, I think the temptation would be enormous to go after him. But in Karachi, that would be stunning and very difficult,' Riedel said. 'The drone hit next to the room where al-Zawahiri was staying. The shared wall collapsed, and debris from the explosion showered on him and broke his glasses, but luckily he was safe,' the unnamed man told the magazine. One of the Taliban's former ministers adds that al- Zawahiri and Al-Qaeda are 'no longer welcome' in areas controlled by his group because it's engaged in peace negotiations with the Afghan government and doesn't want to be seen as 'a threat to world peace,' it said. 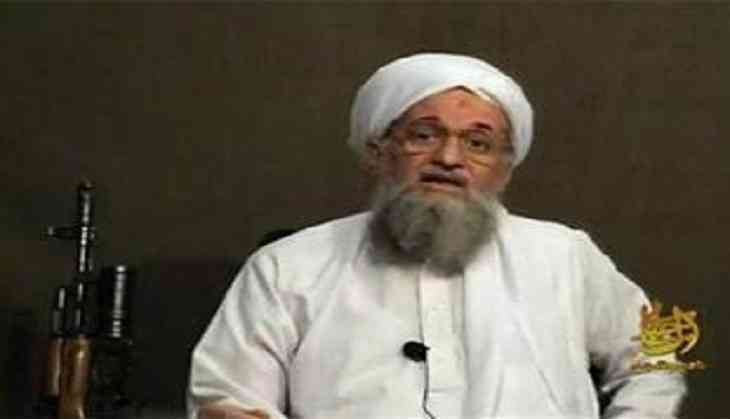 'Closed out of the tribal areas, al-Zawahiri was 'moved to Karachi under direction of the black leg,'' the Afghan Taliban's code name for the ISI, according to the group leader who spoke with the magazine. 'He may well have taken (another al-Qaeda leader) Saif al-Adel, indicted in the US in connection with the 1998 bombing of the US Embassy in Nairobi, Kenya, with him,' the report said.